The government is, in many ways, a large business. Given its size and the breadth of its duties, the government relies on individuals and companies for a wide range of goods and services. 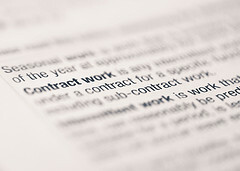 However, because of the government’s special position, government contracts often contain clauses unique to agreements between the government and private entities. When contractors knowingly violate these clauses, they commit fraud. Government contract fraud is ultimately a fraud on all taxpayers and a way of stealing from already strained coffers needed for important services like education, health care, and national defense. Our government contract fraud law firm partners with whistleblowers to fight these wrongs. On May 31, the Department of Justice (“DOJ”) issued a press release announcing that Deloitte Consulting LLP (“Deloitte”) has agreed to pay $11.38 million to settle claims it violated a pricing clause in its federal contracts. According to the government, the General Services Administration (“GSA”) awarded Deloitte a contract in 2000 pursuant to which the consulting company was to provide information technology services. Under the agreement, if Deloitte offered a lower price to specific commercial customers during the term of the contract, it was also required to reduce to price the company charged the government. In a lawsuit filed under the False Claims Act, the government alleged that Deloitte violated the price reduction clause between 2006 and 2012 and charged the government more than comparable commercial clients. It is important to note that the settlement is not an admission of wrongdoing. The GSA is responsible for providing a range of services, goods, and facilities to the federal government. It fulfills this mission by contracting with commercial vendors, in turn allowing the government to provide services to the public. 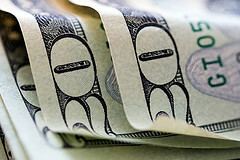 Government contracts can be quite lucrative and often companies compete to be awarded contracts. The GSA has a variety of rules gove rning the process of awarding contracts including certain preferences. For example, a set-aside number of contracts must go to small businesses generally and a set number must go specifically to service-disabled veteran-owned small businesses. Many of the policies that govern government contracts are contained in the General Services Administration Manual. The Manual includes some clauses that are applied to the vast majority of government contracts including safety rules, prompt payment clauses, and rules governing any disputes. Section 552.238-75, Price Reductions, is one example of these required clauses. At the start of the contract, the parties agree on a group known as the “basis of award” customers. If the contractor later lowers the price it offers to any of these customers on the same goods/services it is providing to the government, the contractor must notify the government. In most cases, if this new price is lower than the rate currently being offered to the government, the contractor must also offer the government this new reduced price. Essentially, the clause ensures the government is offered any discounts the contractor offers to similar customers. A company that violates a price reduction clause in a government contract is overcharging the government and thus overcharging the American people. The government cannot effectively police every contract. Therefore, the government relies on honest individuals to come forward when government contractors knowingly commit fraud, including when they violate price reduction clauses. If you have witnessed government contract fraud, you can make a difference and join the fight against fraud on the federal government. The False Claims Act not only provides a path for private citizens to bring a case on the government’s behalf, it also ensures these individuals will be protected. Additionally, the False Claims Act provides a substantial reward to whistleblowers whose actions lead to a recovery of government funds. Call our government fraud whistleblowers’ law firm at (800) 427-7020 to learn more and schedule a no-cost consultation.